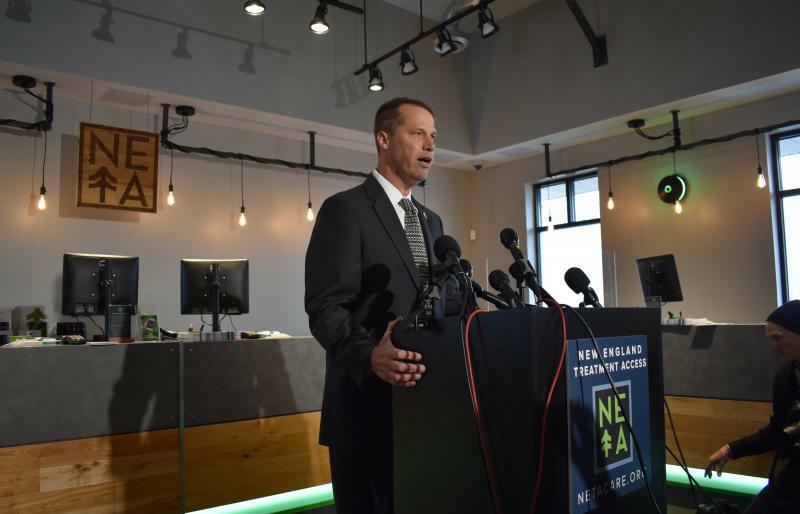 The New England Treatment Access center in Northampton was one of two Massachusetts weed dispensaries that opened up on Tuesday, November 20 to recreational users. "Better than Christmas," said Kevin Rock of Enfield, when asked how he felt about being able to legally buy marijuana. Cynthia Boston (center) said she'd been waiting for the opportunity to buy pot in a store since the 1980's. Her husband Hank (left), and her son Michael joined her Tuesday. They're from Northfield, Mass. Marijuana was available for commercial and recreational sale Tuesday for the first time in Massachusetts. Vit Reudgen drove up to Northampton, Mass. from Rockville. He waited at the back of the line – in the cold November rain – around the corner and about 400 feet from the entrance to the New England Treatment Access (NETA) store. Reudgen’s here for a strain of cannabis called “White Widow.” He points to the line and the demand for marijuana as something Connecticut should look at. These items on display at NETA in Northampton are meant to help people that consume Marijuana for medicinal purposes. 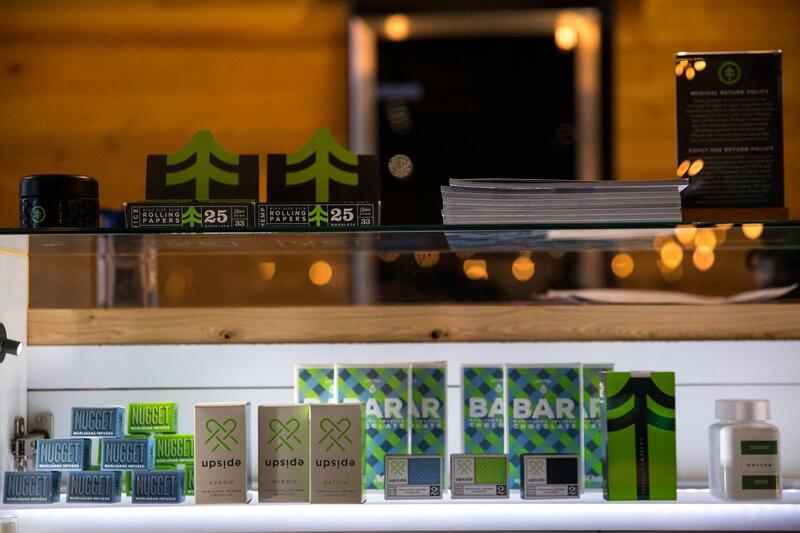 Enfield’s Beverly Pajor vapes cartridges and consumes edibles. She said she does it to help with anxiety. “There’s this huge stigma attached to consuming marijuana and I think that’s unfortunate because it can be useful for quite a few purposes,” Pajor said. Austin Fortier of Chester, Mass. bought about $200 worth of pre-rolled joints, wax, and flower. He’s happy to see legal sales. Connecticut residents are subject to fines for the possession of small amounts of marijuana and they could be arrested for driving under the influence for weed consumption. Norton Arbelaez, NETA’s director of government services, asked Connecticut residents to respect the law. Recreational users are limited to a total of one ounce of whatever form of marijuana products they were purchasing. NETA representatives said customers aren’t allowed to consume on-site. Mayor David Narkewicz of Northampton, Massachusetts, said he'll be the first to purchase cannabis legally east of the Mississippi River when his city's pot store opens.